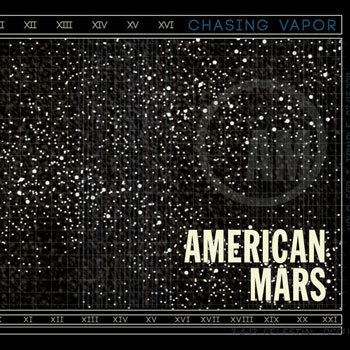 American Mars - " Chasing Vapor "
Since its inception in the late nineties, American Mars has been a musical anomaly in their hometown of Detroit. In a town often passed over by touring roots acts and dominated by garage and punk, the band has persevered for over a decade with its unique brand of atmospheric roots-influenced rock. Chasing Vapor is the band’s fourth full-length release and the second for Gangplank Records, the label owned by the band’s pedal steel player and producer, David Feeny. The album features nine original songs along with a cover of Paul McCartney and Denny Lane’s 70’s hit “Mull of Kintyre.” Like American Mars’ previous releases, No City Fun (2001), and Western Sides (2008), Chasing Vapor features a combination of roots, rock, and post-punk influences.